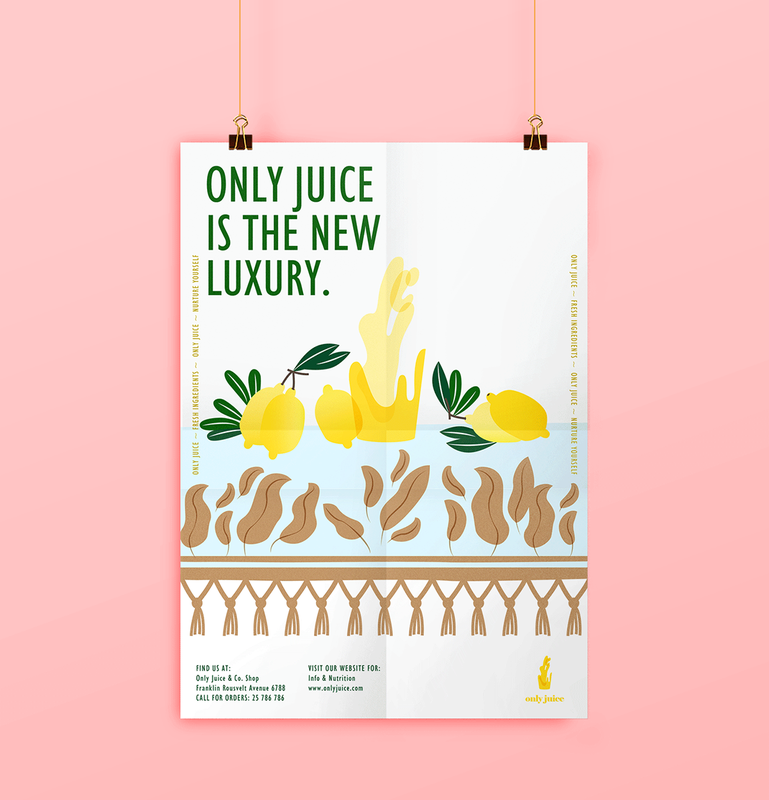 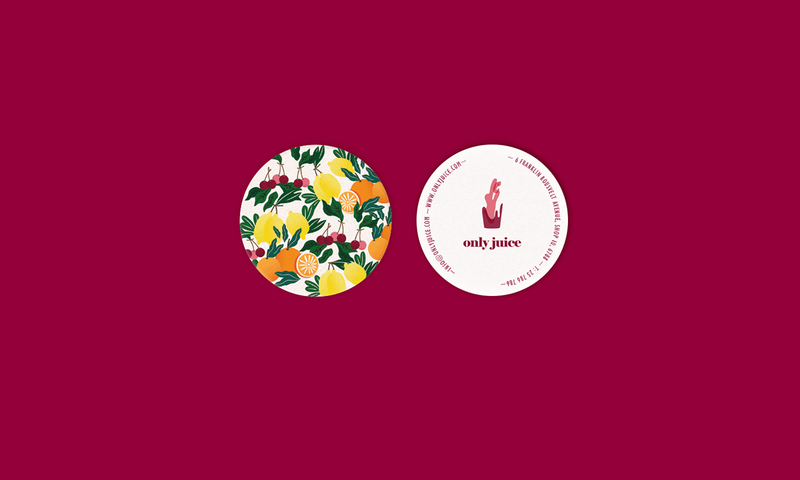 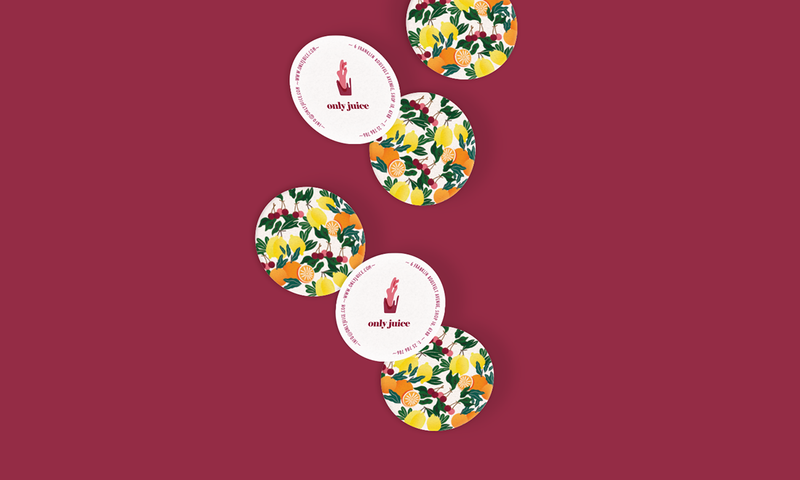 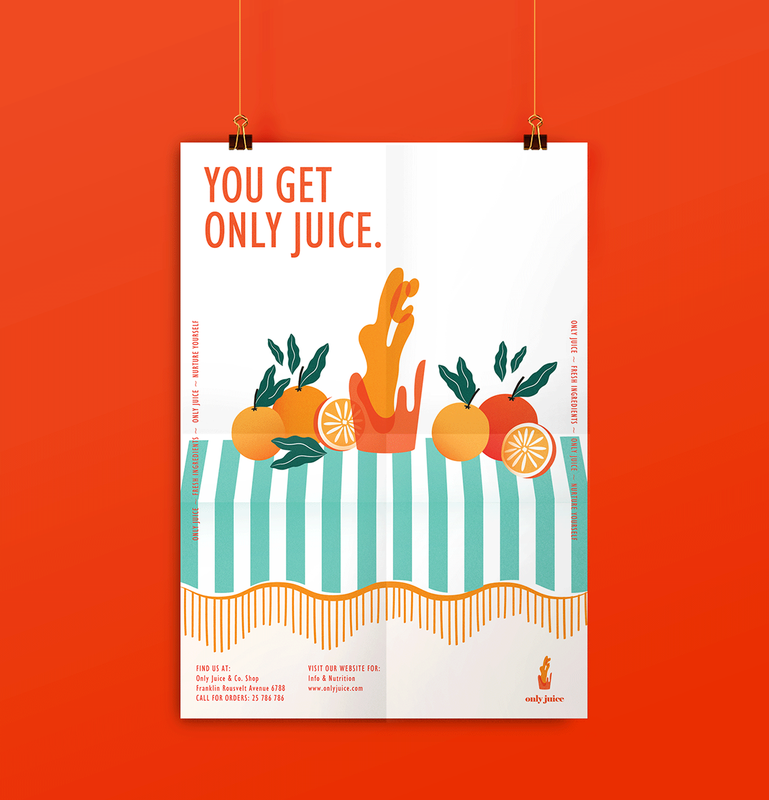 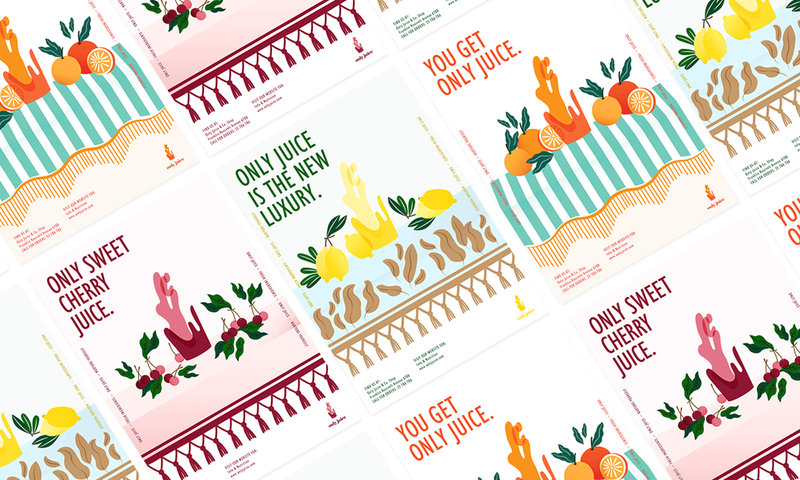 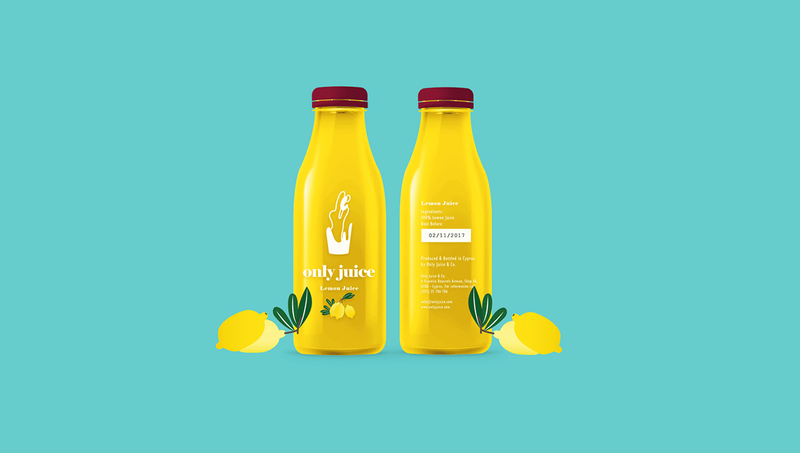 Refreshing and vintage branding for juice company/brand. 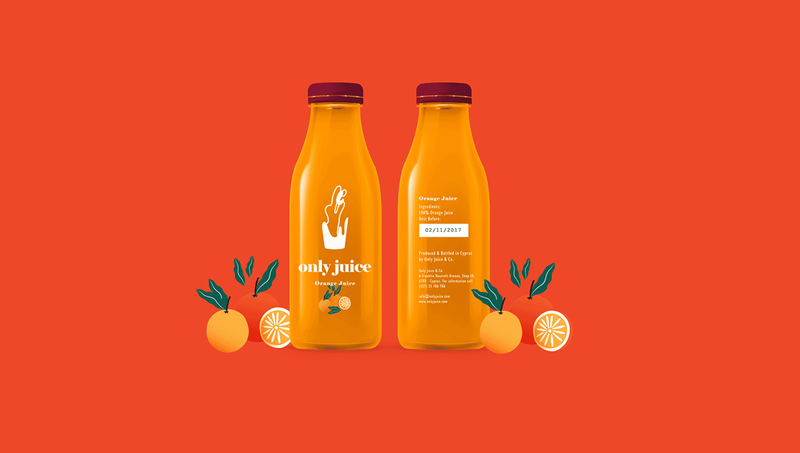 The logotype is literally only juice, like the name, to communicate the product pureness. 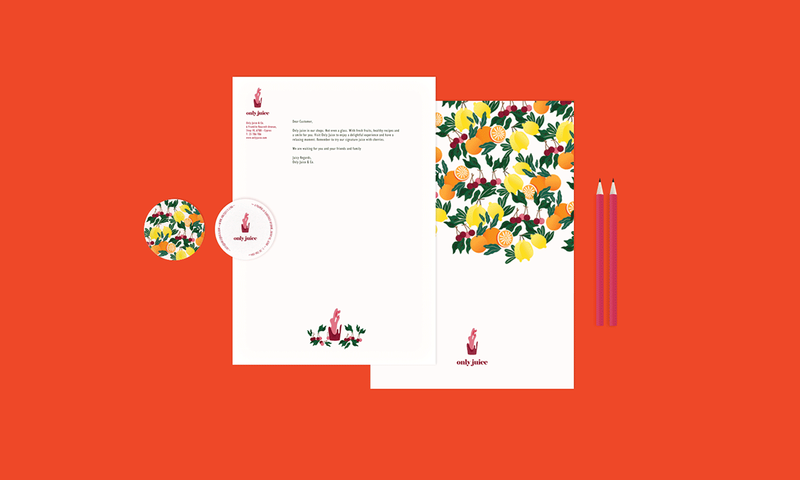 I gave it a vintage touch to make it cozy and give the essence of home made products. 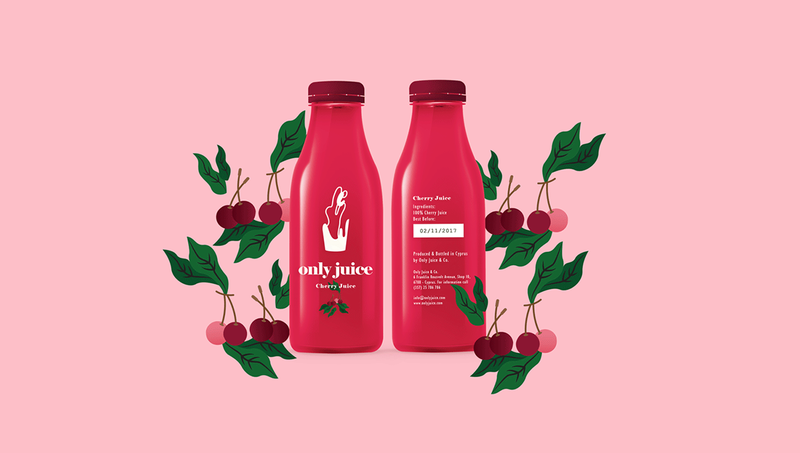 Typography is delightful and juicy as well as the shapes and forms in each application of the branding. 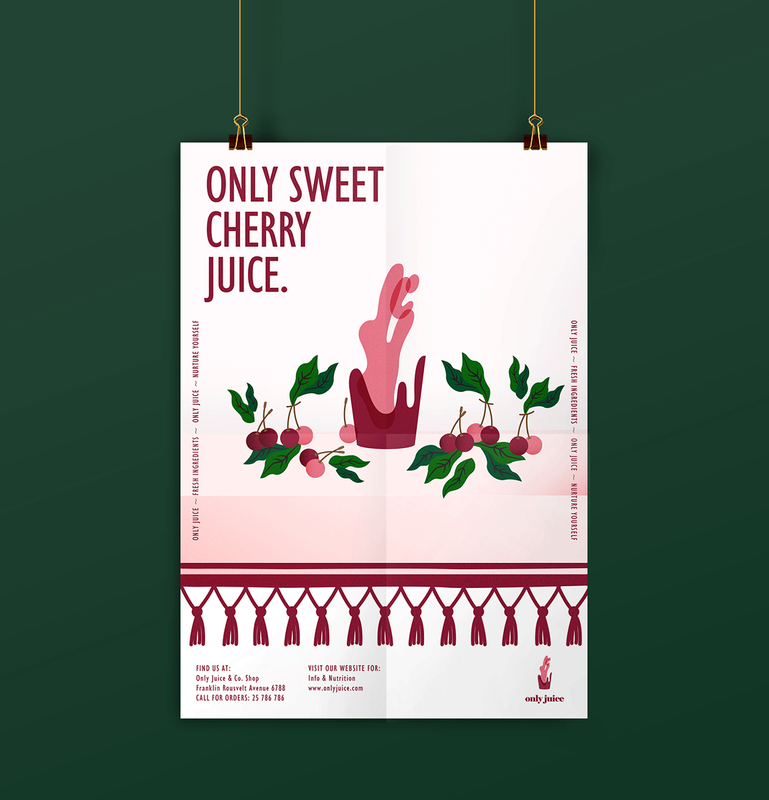 Cherry colors are the main palette because their signature product derives from cherries . 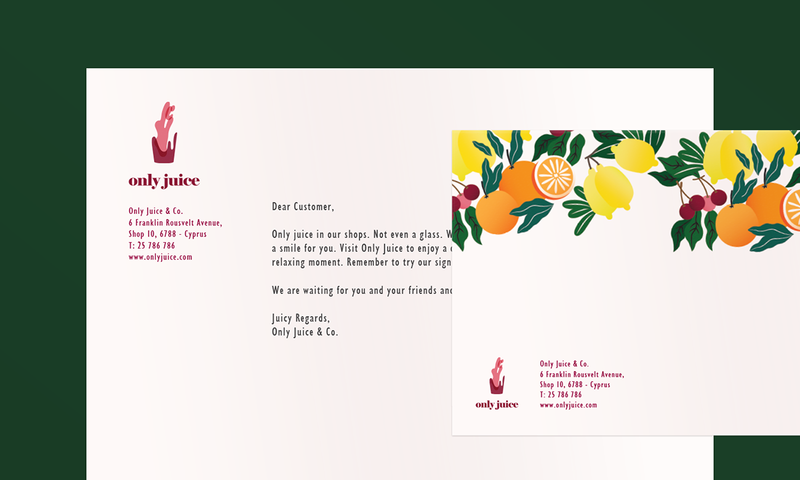 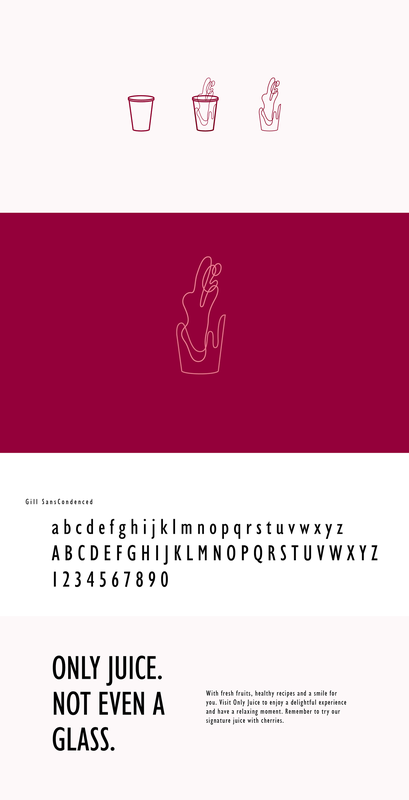 Yet, the logo is flexible enough to change colors and works well in white form. 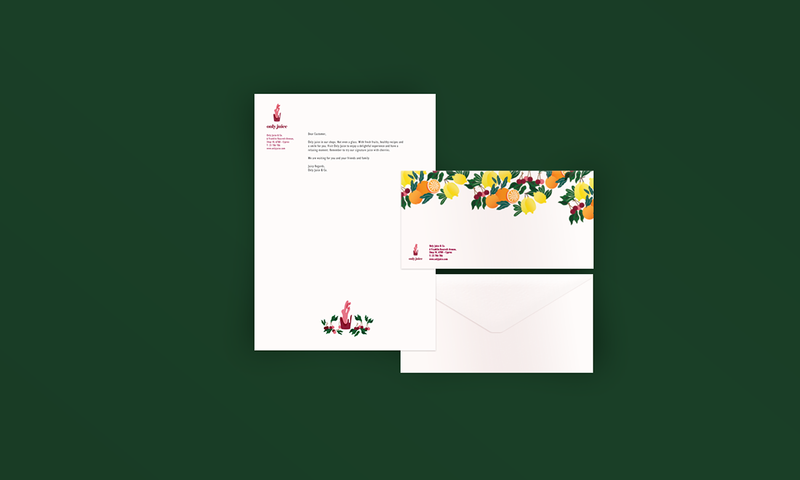 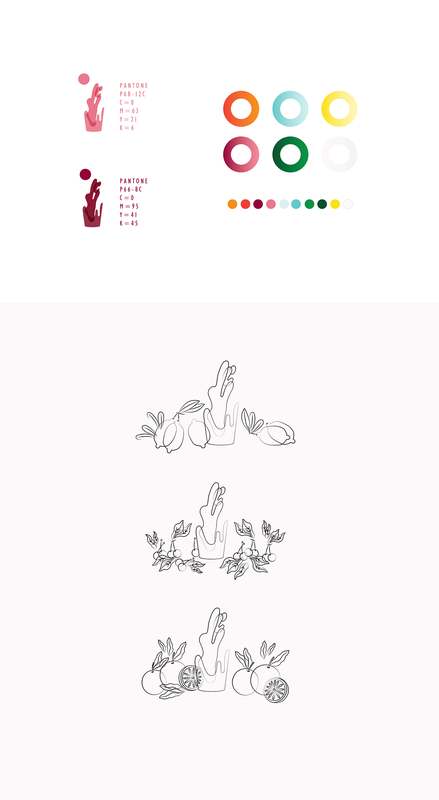 +Logo, Branding & Concept by Afroditi Constantinou. 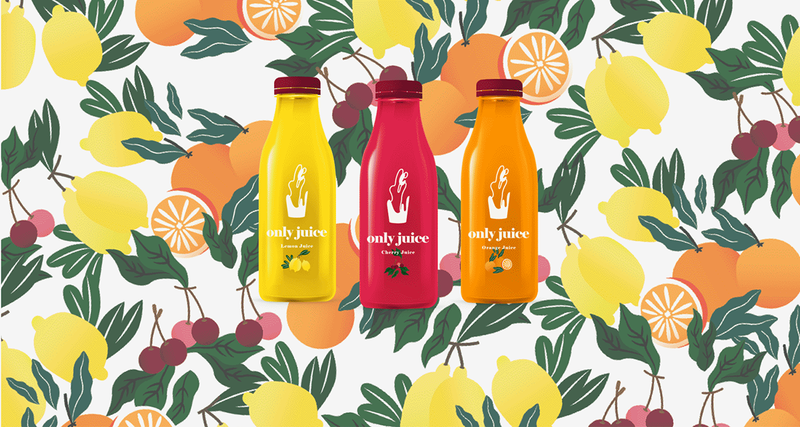 Only Juice Branding. 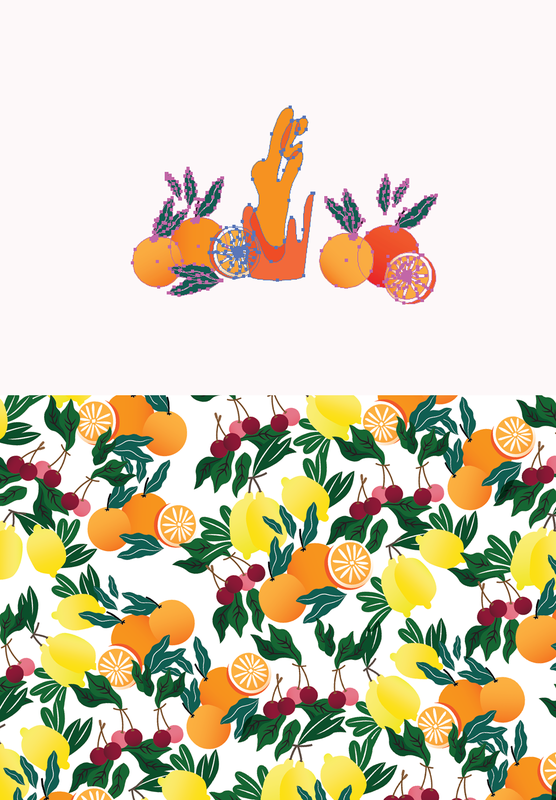 Copyright 2017 @ Afroditi Constantinou.